Once again, pretty painful for the southwest. 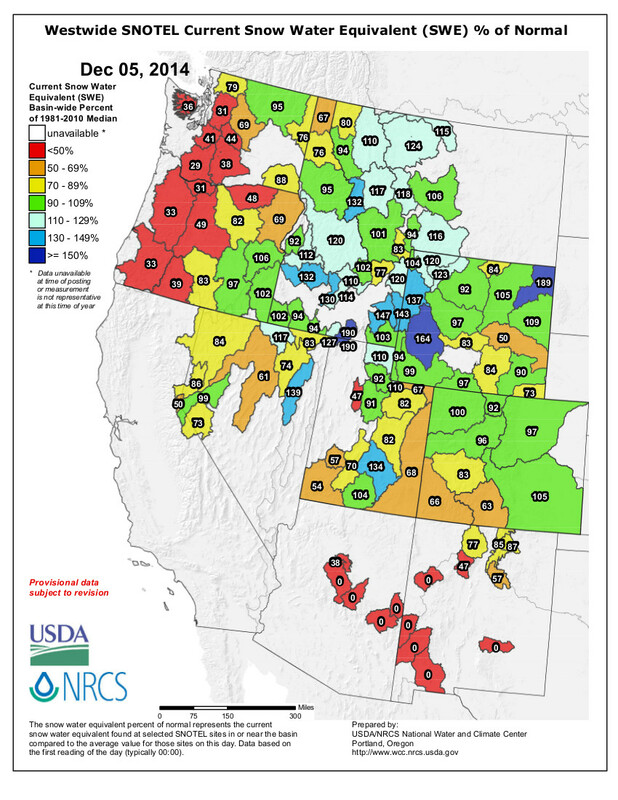 One should imagine that red running right down the Cascades through the Sierra (can't quite imagine how that 99% cell near Reno is working). Nice to see the Rubies doing okay, though. So far, the weather patterns out here have had a disturbing resemblance to last year, but things finally seem to be loosening up a little, with a big one in the forecast over the next couple days.